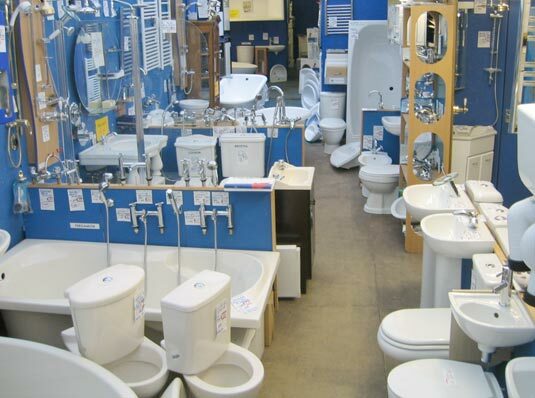 Welcome to Bathroom Clearance Outlets Ltd, where we have over 25 years of experience supplying high quality bathrooms and showers at huge discounts direct to the public. And just because we are a clearance business does not mean that we are willing to compromise on quality or service, in fact, everything that we sell is covered by the full manufacturer's warranty and is in perfect condition. We only deal in the high quality products that would normally be sold through high street showrooms, we do not clear goods from discount stores and warehouses. Our main priority is the satisfaction of our customers and we will treat your order with the highest level of service whether it is for a single item or a container load. 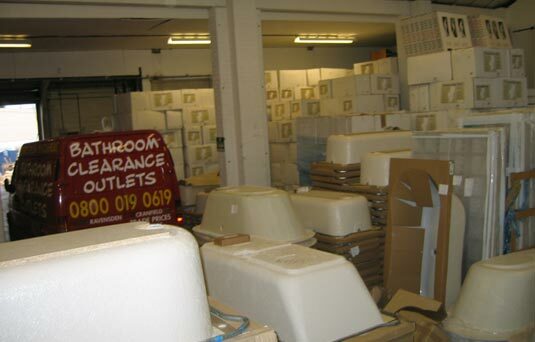 We offer the best value prices in the market today - set as low as possible to move as much stock as quickly as possible. How can we do it? Simple really, we act as a clearing house for manufacturers, liquidators and suppliers requiring assistance clearing surplus stock from over-production, bankruptcies or just to free-up warehouse space. We buy at the lowest price and sell at the lowest price. Our stock is changing all the time, so if you don't see an item that you are interested in, please call us for a chat and we will see what we can do. The nationwide delivery service we offer is designed to get your order to you in perfect condition whether it is on our own specialist transport to our extensive free delivery area or with our palletised transport partners on their fleet of tail-lift trucks. We offer our customers the opportunity to own a high class, top quality bathroom, shower room or ceramic kitchen sink at a fraction of the manufacturer's retail price, everything fully guaranteed. The right bathroom makes a huge difference to any home, restaurant or hotel room, so don't take any risks with your choice of supplier - Bathroom Clearance Outlets has over 25 years' experience in our field. All our beautiful bathrooms are designed with either a contemporary or classic look in mind. No matter what look you want to achieve, we have a style and design to suit you. Bathroom Clearance Outlets create a tranquil haven that will last for years and only cost a fraction of the normal price. With today's busy and hectic lifestyles, many people would rather save water and have a refreshing shower than a time consuming bath – and with a great value range like ours, you can find one that fits both your requirements and your budget. Showers are much more ‘space friendly'. They can take up less than half the space of a bath leaving you more room to create a beautiful and serene atmosphere. Our fireclay ceramic sinks are all made of the most durable and hardwearing materials, so you can be sure that they will stay looking as clean and smooth as the day you brought them. All our sinks come at incredibly competitive prices – view our range to find out more.